StepⅠ:Please apply for language exchange partner's introduction service through the application form at the bottom of this page. StepⅡ:After we accept your application form, we introduce you our language exchange partner's profile who meets your requests(language partner's gender/age/area/available time,etc). StepⅢ:After you agree to exchange your email address with our language exchange partner's,we forward his/her email address to you.※We never exchange your email address without your agreement. StepⅣ:Trial lesson(language exchange):Firstly You can take a trial lesson. After that, please decide to do the language exchange with the partner or not. If you like another language partner, we can arrange another one for you. ※We recommend you take the trial lesson(language exchange) on skype. You can select language exchange partner's type from below on the application form. Serious language partner for those who like to focus on learnning and teaching language. Chatting language partner for those who like to enjoy conversation. Serious and chatting language partner for those who like to focus on learnning and teaching language and enjoy conversation. If you like, you can display your picture or video message on our website. You can expect many contacts from our Japanese members who have an interest in your profile. This is an optional service,if you don't need this service, please select 『No』on the application form below. ※After we accept your application, we ask you about your requests by email. 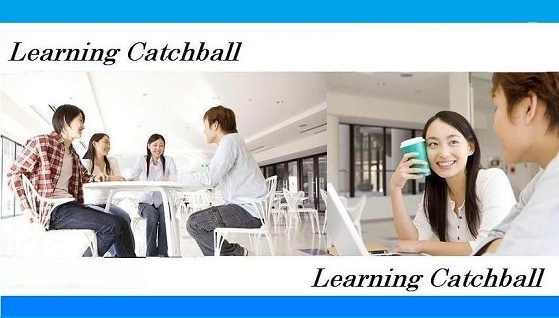 Our e-mail(info@learning-catchball.com) is sometimes misclassified as spam. So please check your E-mail regularly.